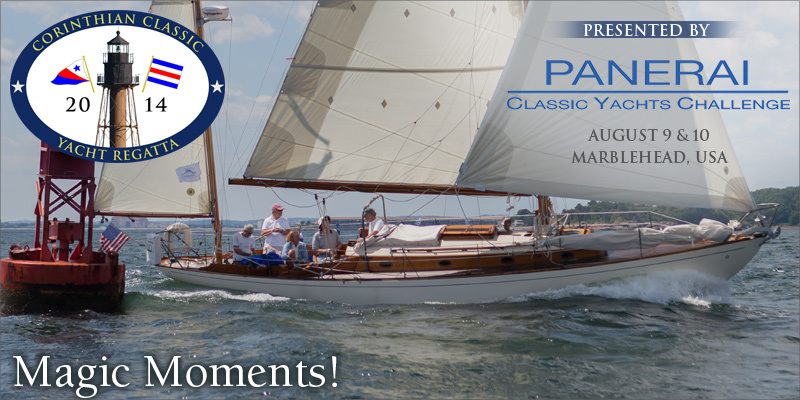 Last summer, the Corinthian Classic Yacht Regatta - presented by Officine Panerai (www.panerai.com) – was host to several Concordia’s including Jesse Bontecu’s “Harrier” (formerly owned and raced by Ray Hunt himself with Jesse aboard). It was pure “Magic”. The Corinthian Classic Yacht Regatta is a terrific venue for the Concordia Yawl. This year’s Corinthian Classic will be held August 9th & 10th. Out of the almost 60 yachts entered in the CCYR, there were no bigger smiles to be found than on the faces of Concordia owners and crews. It was especially gratifying to them that we created and put up prizes for a Concordia division. We’re doing the same again this year. We know there are a few more of you out there that would love to make a run at some silver, so why not join us. This is a rare opportunity for Concordia owners to gather and sail your boats in a Corinthian spirit. The Classic Rating Formula will be the standard for all boats. If you don’t have a current certificate, it’s easy. Visit our entry page on our website and website and follow the link. We urge you to enter this event now. You’ll be happy you did. It will be “Magic”. Instructions to enter can be found on our website at www.corinthianclassic.org or call Timmy Dittrich 781-248-3836 or Bruce Dyson 617-285-1182 for more information.